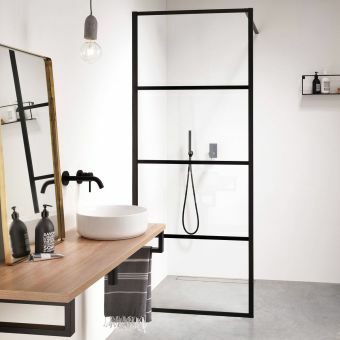 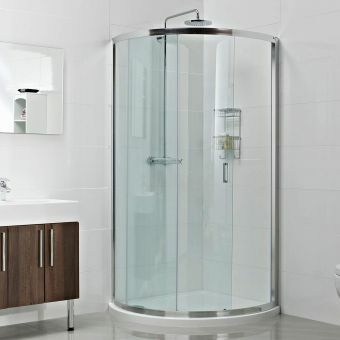 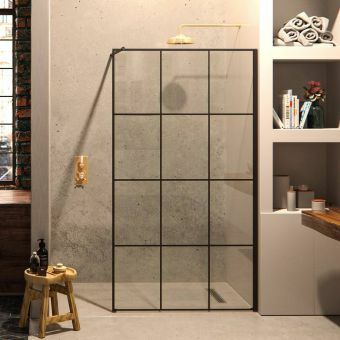 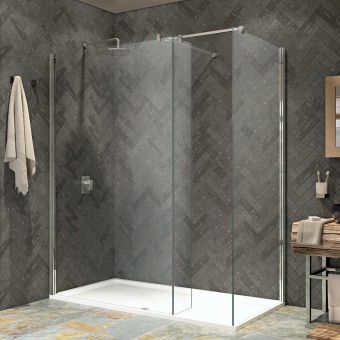 Helping to cross the boundary between walk-in convenience and a wet room shower, this simple curved shower screen from Roman is a perfect example of simplicity and elegance. 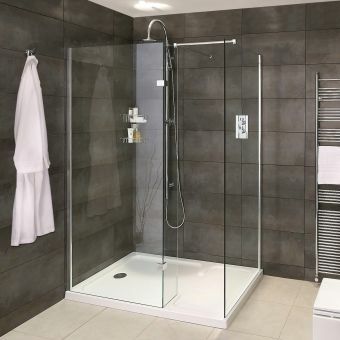 Held firmly in place with a polished silver wall profile which features 25mm of vertical adjustment, it is easy and quick to install using the correct tools. 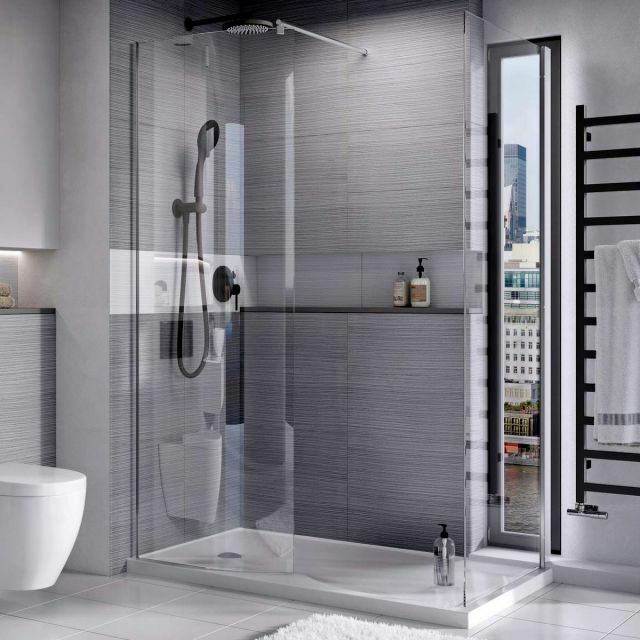 It can be used as a single glass screen for a recess or in conjunction with a separate matching side panel to create a corner installation. 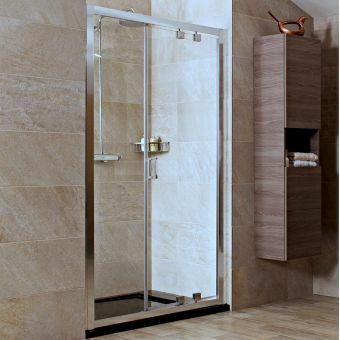 The panel measures 806mm wide with an overall height of 2000mm, plenty wide enough for most applications. 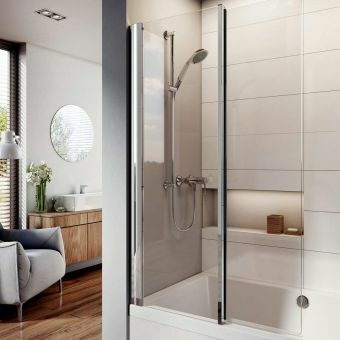 The side panel sits neatly to the side and if used with the optional dedicated Roman stone 1400 x 900mm tray, it offers a silicon-free install thanks to the bespoke grooves set into the tray providing extra convenience. 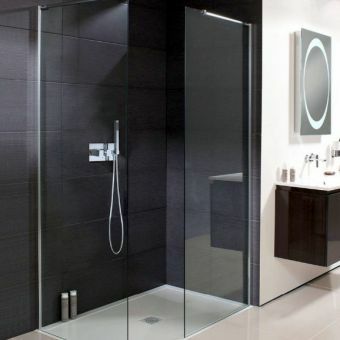 The sturdy 8mm toughened glass is crystal clear and includes Roman's own specialist glass care treatment, Ultra Care, making glass scrubbing and harsh cleaners redundant. 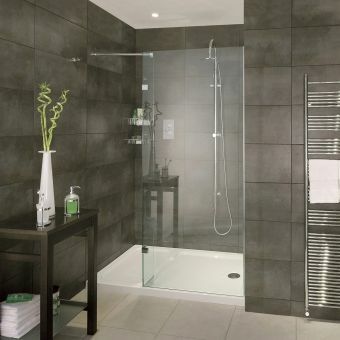 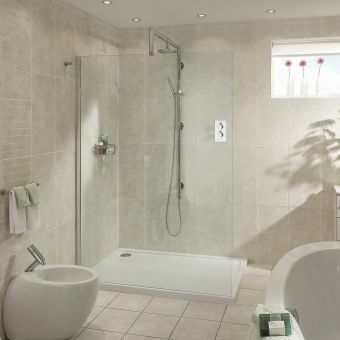 The Roman Lumin8 Curved Wetroom Panel is a highly original and fresh interpretation of a modern showering solution.